I have quite sensitive skin so I’ve always been very cautious of what I use on my face. 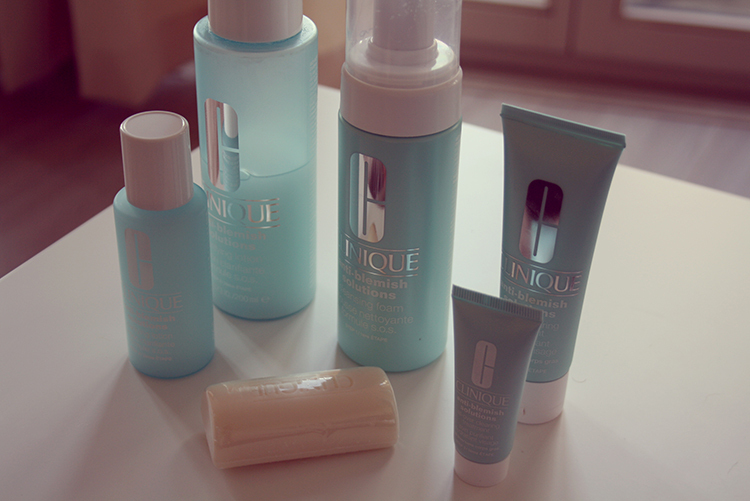 I love Clinique skincare in general because this brand takes skin very seriously. 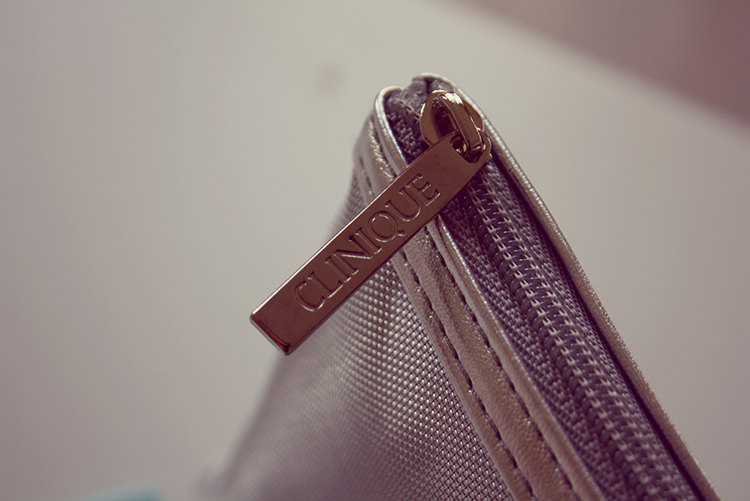 I’ve been using Clinique for years without experiencing any problems. But two months ago I got a really bad breakout at my cheek area (hello to a bit of stress and some lack of sleep) and my regular cleaning products wouldn’t help. So I went to Clinique and I got advised to use a three step Anti-blemish solutions methode of facewash, clarifying lotion and cream. I’ve been using it every single day and night since and I pretty much swear by it. I now have a healthier looking glow on my face, my skin is a lot clearer and it keeps the pimples to a minimum. The only downside of my new skincare regime that I can think of is that the cream doesn’t include an SPF (Sun Protection Factor). A daily sun protection is usually an important part of my beauty regime, so when my skin is completely back to normal I will switch to my Clinique Superdefense Triple Action Moisturizer SPF 25. Since everything is so much cuter in miniature form and I’m going to Paris next week, I decided to buy a travel kit as well. This treatment is a little on the expensive side, but a small amount really goes a long way. 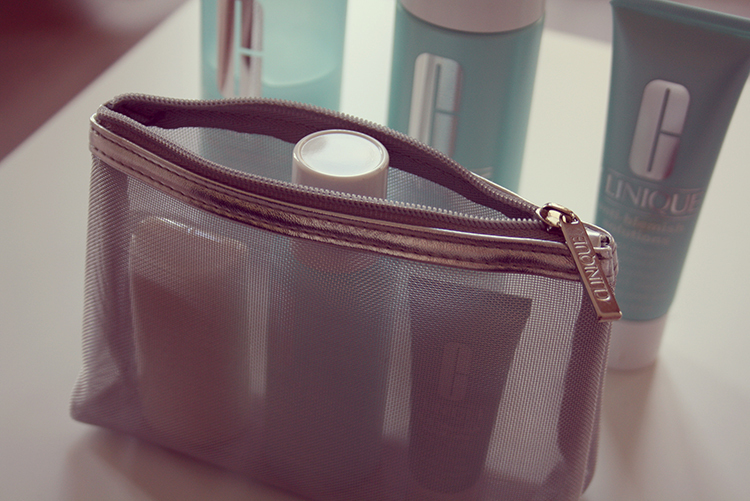 So if you’re dealing with a bad skin it is definitely worth the investment! 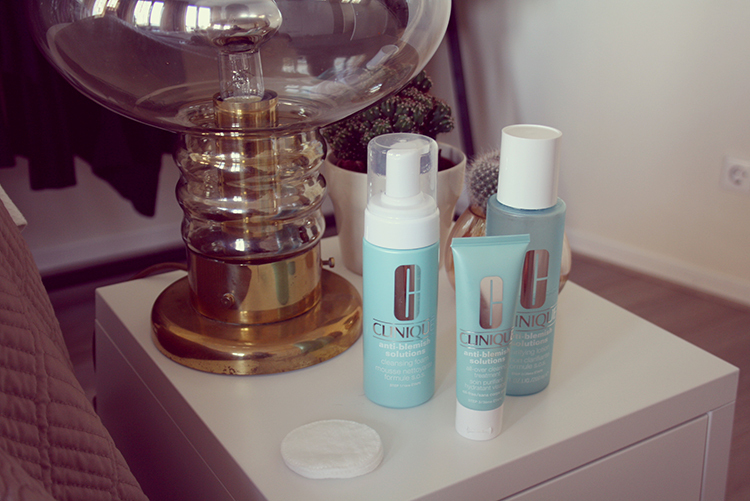 Posted in BeautyTagged acne, anti blemish, Clinique, facial, foam, skincare, soap, tonic, TravelkitBookmark the permalink. I nominated you for the One lovely Blog Award 🙂 Thanks for sharing!